Eastern senior midfielder Jake Andrews holds off an Evasnville defender as he gets ready to cross the ball into the box. Eastern drew 1-1 with Evansville at Lakeside Field on Aug. 31. 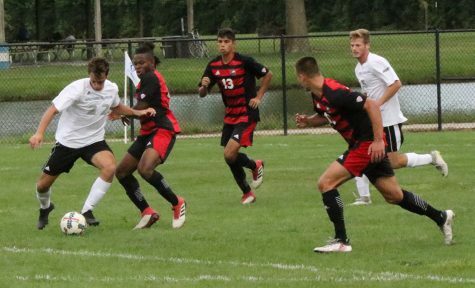 Out of the five matches in the men’s soccer team’s young season, Eastern’s opponents have already scored three goals off penalty kicks, and two of those times took away the chance for a victory and a draw. 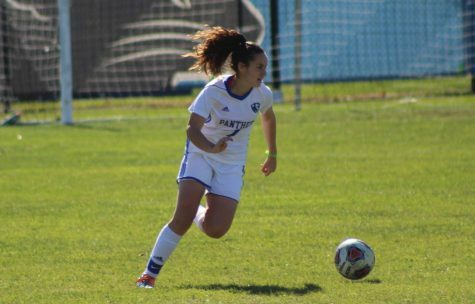 In total for the season, the Panthers’ opponents have gotten four penalty kicks. 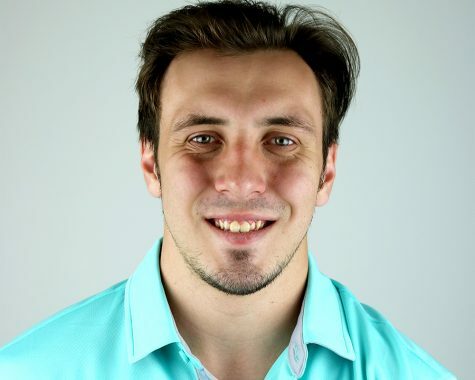 The only time a penalty kick did not hurt Eastern was in the season opener against Cincinnati, when goalkeeper Jonathan Burke saved Cincinnati’s Ryan Melink’s penalty kick in the 58th minute. But by Lara’s count, Eastern has only given up two penalty kicks to opponents. The ones against Green Bay and Evansville should not have been awarded, he believes. Lara said that unfortunately, the actions that lead to penalty kicks are in-the-moment things. He added that defenders are very committed to defending or blocking a shot, so at times it might require trying to find a balance between playing hard and not fouling to avoid giving the opponent a penalty kick. 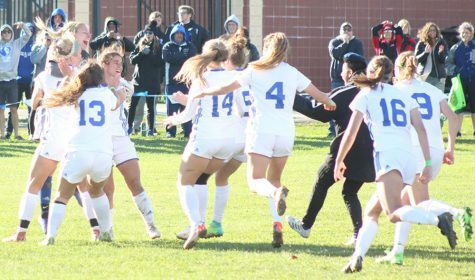 In three of Eastern’s last four matches, its opponents capitalized on penalty kicks. 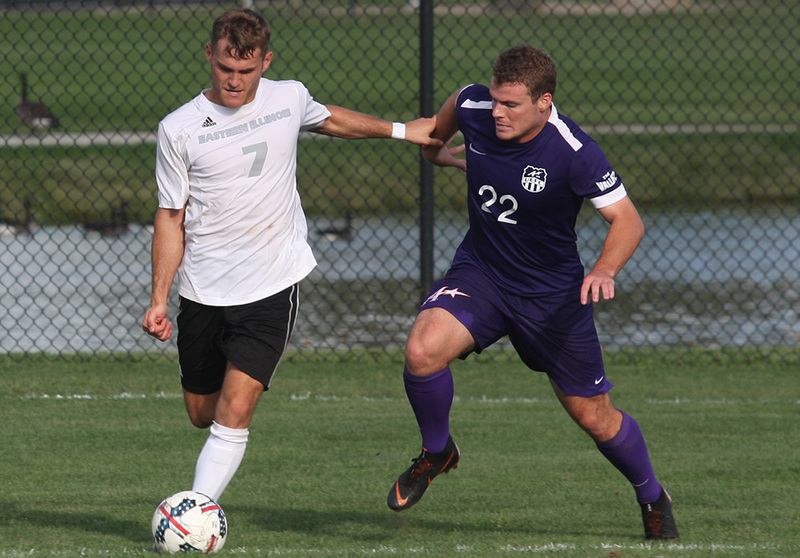 During a two-match home stand on Aug. 31 against Evansville, Eastern led 1-0 with about 15 minutes left in the match. Then the Panthers committed a foul in the box and Evansville tied the match, which ended in a draw. Then in the second match of the home weekend, against Green Bay on Sept. 2, the match was tied after halftime. But at the 60-minute mark, Green Bay scored on a penalty kick to give Eastern its first loss of the season, 1-0. The third penalty kick goal came from Mercer on Sept. 9. 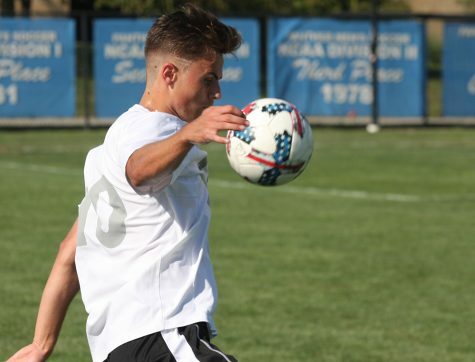 Although Eastern ended up winning 2-1, Mercer put a penalty kick in the back of the net in the first 13 minutes of play, which was the game-winning goal at the time. But one thing Lara said he does with the team is to make sure they do not get discouraged if its opponent scores on a penalty. 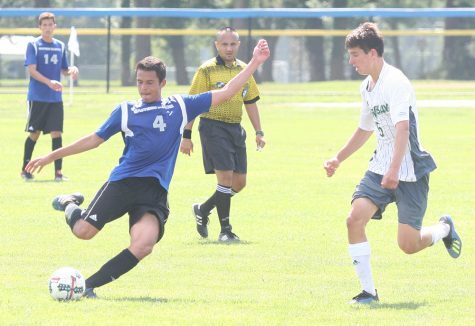 Eastern overcame a penalty kick goal on Sunday in the Bradley Invitational against Mercer. 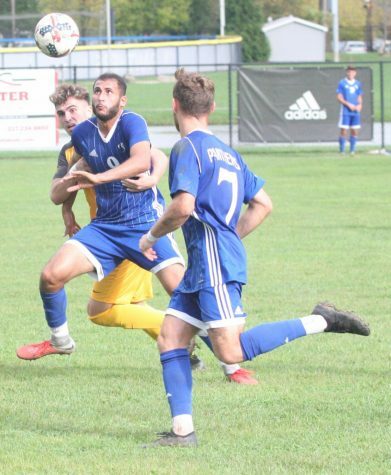 Eastern went on to score both of its goals, courtesy of Kris Luke and Shady Omar, after the penalty for Mercer and win 2-1. Now with four matches to go until conference play starts, Eastern faces IUPUI Wednesday. The Jaguars are 1-2-1 on the season and have, much like Eastern, lost to Bradley 1-0 and tied with Evansville. 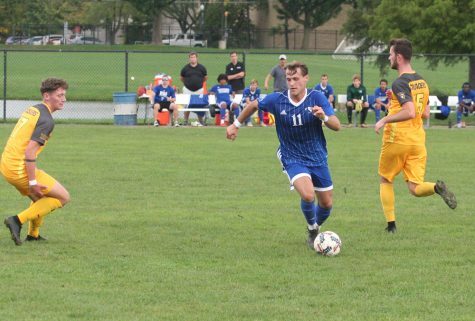 The match was originally scheduled to be played at Lakeside Field for Eastern’s third home match of the season, but because Lakeside Field was left unplayable due to recent weather, the match will be played in Indianapolis at 3 p.m.